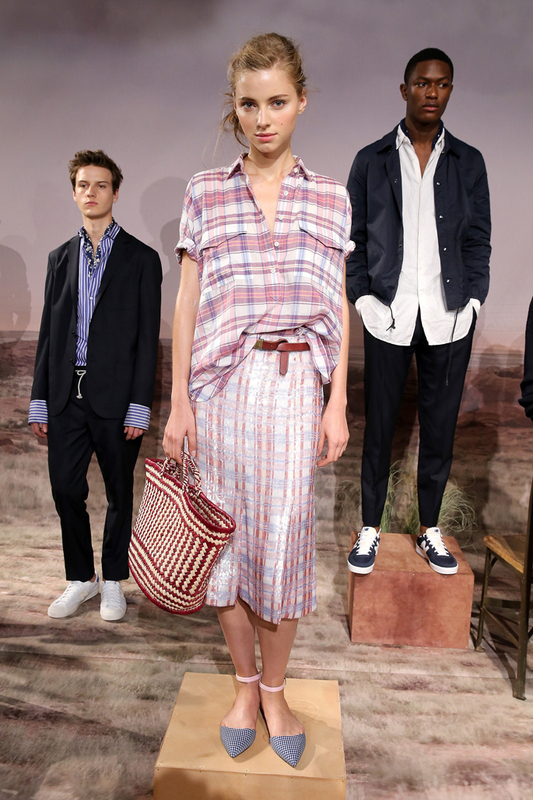 One of my favourite brands, J Crew, showcased their Spring/Summer 2016 range at NYFW last night. Last season wasn't one of J Crew's greatest and, in fact, the fashion house reported a slump in profit, maybe partly to do with a change in creative direction. However, the latest collection saw a return to the original preppy style with stripes, gingham, bold necklaces and nautical/seaside vibes. Lots of green in the new collection, one of my favourite colours but my favourite has to be the yellow skirt and pastel blue top (first photo).